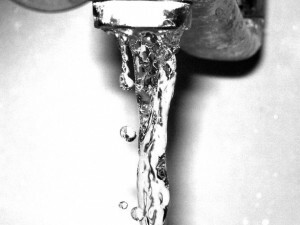 Curious About Testing for Lead in Drinking Water? Media stories (examples: here, here and here) about elevated levels of lead being detected in tap water across Canada have caused many people living or working in older buildings to become concerned about the safety of their drinking water. For us at CARO, lead is one of the most common tests of over 500 tests that we perform in our laboratories across Western Canada. In fact, CARO has been testing for lead in drinking water for nearly 30 years, continually adopting the latest technological advancements to offer our customers the most dependable results possible. The only way to know if you have lead or many other contaminants such as arsenic, uranium, mercury, bacteria, etc… is to have the water tested. Health authorities routinely recommend regular testing of drinking water sources to ensure that the water you are using is safe to drink. Here is a link to the most common water test packages that we offer and you can contact us here to order your test kit today and get the peace of mind to know that your water source is safe to drink. Health Canada has a comprehensive site to answer many questions on lead and other parameters here. Also, BC’s local health authorities or other health authorities across Canada are a great place to gather information about available resources in your community. The latest medical and scientific research shows that absorption of even very low levels of lead into the body has harmful health effects on the intellectual and behavioral development of people especially infants and young children. While a lot of chemicals can be good for us and necessary to normal chemistry in our bodies such as calcium and magnesium, heavy metals such as lead, arsenic, mercury, uranium, etc… should be avoided at any significant concentrations. How is CARO able to offer market leading detection limits for metals in water and soil? We have the best people in the business with the most Professional Chemists on staff of any environmental laboratory in Canada. This coupled with the fact that we have some of the newest equipment, an Agilent 7700, Inductively Coupled Plasma Mass Spectrometers (ICP-MS), on the market, which enables us to analyze water, solid, food, air and tissue samples at some of the lowest reportable detection limits in the industry. Is it expensive to do tests? No. Many individual tests can be done for under $100 per sample. If you would like the peace of mind to do a wide range of tests such as heavy metals, bacteria’s, and drinking water quality standard tests at the same time, the cost is only a few hundred dollars. Call us to discuss your concerns and we will work with you to fit a testing package that meets your budget. Please contact us today to discuss your drinking water testing needs. We are always more than happy to assist you!